A private equity mogul lauded for his patriotic donations has quietly worked to protect one source of his wealth — the carried-interest loophole. by Alec MacGillis, ProPublica March 7, 2016 This story was co-published with The New Yorker. On Aug. 23, 2011, a magnitude-5.8 earthquake shook the Washington Monument for about 20 seconds, sending tourists on the observation deck down eight hundred and ninety-seven steps. One of the two strongest quakes ever recorded east of the Rockies, it fractured two dozen of the stone protrusions that hold up the marble slabs at the monument’s peak. 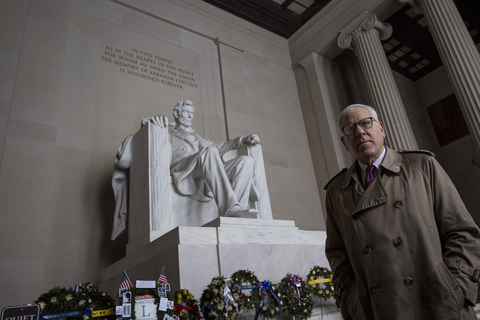 That December, Congress appropriated half of the $15 million required to repair the obelisk, saying that the rest would have to be raised from private citizens. Until recently, relatively little attention had been paid to one source of Rubenstein’s wealth, which he has quietly fought to protect: the so-called carried-interest tax loophole. The tax break has helped private equity become one of the most lucrative sectors of the financial industry. Since the end of the recession, private equity has reported record profits, and at least eighteen private-equity executives are estimated to be worth $2 billion or more each. And during the current presidential campaign, with its populist themes, the loophole has become a target among Democrats and Republicans alike. The notion of “carried interest” derives from the share of profits that twelfth-century ship captains received on the cargo they carried. It came into its modern usage in the 1920s, in the oil-and-gas industry, and was enshrined in the federal tax code in 1954. When a group of partners drilled for oil, a few would put up the money and others would invest only their labor, or “sweat equity” — finding land and investors, buying equipment, and so on. If the partners sold out, the IRS would tax the profits of all the partners at the lower rate for capital gains rather than as ordinary income. Over time, partnerships in other industries, mainly real estate and venture capital, began taking advantage of the same form of taxation. Private-equity firms stretched the model to its breaking point. Their work is essentially a combination of investment banking and management consulting: they are compensated not for building new ventures from scratch, with the risk that entails, but for managing the investments of wealthy individuals and pension funds and other institutional clients. These funds are pooled, along ￼with borrowed money, to acquire private companies or to take public companies private — before making improvements or cutting costs and selling at a big profit. Even if no profits are realized, private-equity firms get paid: under the “2 and 20” compensation structure, they receive a two percent fee annually on assets under management, in addition to a 20 percent cut of profits beyond a given benchmark. The IRS characterizes the managers’ cut of the profits as carried interest, taxing it as though it were capital gains made through the sale of a person’s own investment. For most of the past fifteen years, long-term capital gains have been taxed at 15 percent, compared with 35 percent for ordinary income in the top bracket. Barack Obama, during his first presidential campaign, pledged to reform the tax on carried interest and, in 2012, went after Mitt Romney for having enjoyed its benefits as the co-founder of Bain Capital. This year, Bernie Sanders, Hillary Clinton, and Donald Trump have all attacked the loophole, often using hedge-fund managers as the rhetorical target. As Trump put it in August, “They’re paying nothing, and it’s ridiculous. … These are guys that shift paper around and they get lucky.” Jeb Bush, who made a foray into private equity in 2014, also called for closing the loophole during his ill-fated campaign. Private-equity partners argue that their tax treatment is justified under the tradition of encouraging risky business partnerships and is necessary for their industry to flourish. So far, the partners have won out: despite the rise of anti-Wall Street sentiment after the 2008 financial collapse, the loophole has withstood every effort at reform. In 1975, after graduating from Duke and then the University of Chicago law school, and spending two years at the corporate law firm Paul, Weiss, in New York, Rubenstein served as the counsel to Sen. Birch Bayh, Democrat of Indiana, on the Subcommittee on Constitutional Amendments. A year later, at the age of 26, he joined Jimmy Carter’s presidential campaign as a policy aide and was subsequently hired as a deputy to Stuart Eizenstat, President Carter’s domestic-policy adviser. 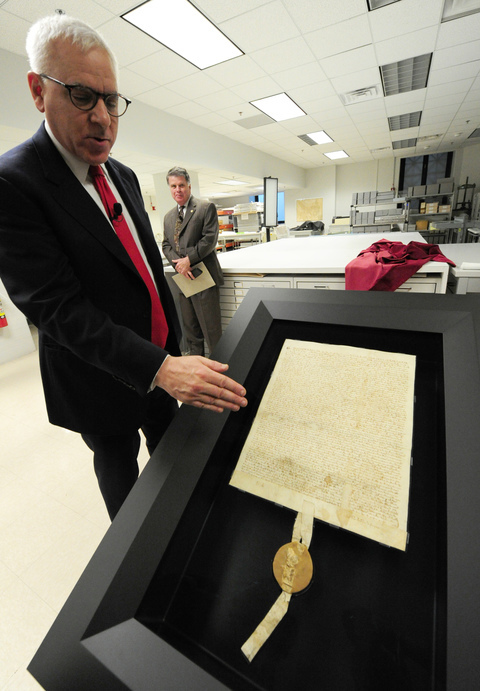 Rubenstein helped write memos for Carter, prepare him for press conferences, and draft State of the Union addresses. Rubenstein was crushed when Carter lost to Ronald Reagan, in 1980. “I tried to help my country, and it didn’t work,” he told the Washington Post years later. In 1981, he took a job in the mergers-and-acquisitions group at the Washington-based law firm of Shaw, Pittman, Potts & Trowbridge, but he soon started exploring a career change. Legal work bored him, and he was in touch with friends from his days at the White House who were prospering in business. “I realized I was going somewhere that wasn’t going to take me where I wanted to be,” he said at Rensselaer. In 1986, Stephen Norris, a lawyer for Marriott, learned of a change to the federal tax code recently initiated by Sen. Ted Stevens, Republican of Alaska. It allowed Alaska Native corporations, created under the Alaska Native Claims Settlement Act, to sell their paper losses at a discount to companies that could use them to reduce their own taxes. Norris started a business that matched companies with Native Alaskans and persuaded Rubenstein to leave Shaw, Pittman and join him. In a single year, they brokered the transfer of a billion dollars in losses, earning at least ten million dollars in fees. In 1987, they were on the verge of another big transfer when the government closed that loophole. The episode became known in Washington business lore as the Great Eskimo Tax Scam. In September of that year, Rubenstein founded the Carlyle Group, with Norris; Dan D’Aniello, of Marriott; and William Conway, of the telecom giant MCI The firm was named for the New York hotel, to evoke old-money grandeur. The partners soon brought in Frank Carlucci, Ronald Reagan’s final Secretary of Defense. Fred Malek, the former deputy chairman of the Republican National Committee, did consulting work for the firm. Two members of the George H.W. Bush administration, Richard Darman, the budget director, and James Baker III, the Secretary of State, joined Carlyle when they left the government. In the late 1990s, the ex-President himself came on board and helped position the firm to win a bidding war for one of South Korea’s top banks. The firm branched out into new industries, buying ownership stakes in Dunkin’ Donuts and Hertz, among many others. In 2007, Carlyle’s twentieth anniversary, the firm managed $75 billion in assets, and Rubenstein made his début on the Forbes 400 list. By 2009, Carlyle’s portfolio included $1.5 billion from the New York State pension fund. According to an investigation that year by Andrew Cuomo, then the state attorney general, the pension money had been obtained in part through improper payments to middlemen by a Carlyle affiliate. Though Carlyle was not accused of any wrongdoing, it agreed to pay $20 million to resolve the matter. 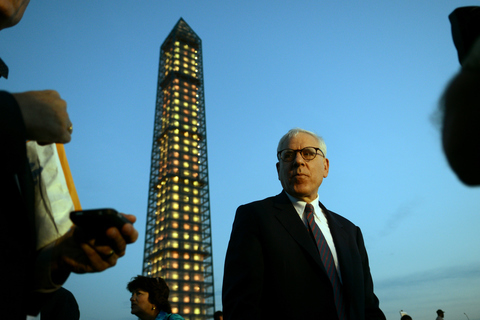 Over the years, Rubenstein’s Democratic allegiance has loosened. In 1990, Carlyle put George W. Bush, who had just left the oil business in Texas, on the Caterair board. In the late nineties, Rubenstein and Rogoff still hosted the Carters at their Nantucket vacation home, but they more often socialized with George and Barbara Bush. In 2000, Rubenstein, Rogoff, and their three children (two daughters and a son, now grown) accompanied Barbara Bush and her grandchildren on a safari. That same year, Rubenstein and Rogoff attended Barbara Bush’s 75th-birthday party, in Kennebunkport. Rubenstein has admitted that his relationship with the Bush family affected his politics, but he also developed strong ties with the Clinton administration. In 2001, Carlyle hired two former Clinton officials — the chairmen of the Federal Communications Commission and the Securities and Exchange Commission. For years, Rubenstein has refrained from contributing to political campaigns, and Carlyle has never formed a political-action committee. Rubenstein told Reuters in 2012, “I don’t really try to get involved politically by giving money to politicians or by saying I’m a Democrat or Republican. Right now, I just view myself as an American.” Last year, when President Obama visited Anchorage, he had dinner with Rogoff at her home. In 2012, when Carlyle made its first offering of public stock, it reported that Rubenstein, D’Aniello, and Conway — Norris departed in 1995 — had been paid about a $140 million each the previous year, an amount that dwarfed the pay of nearly all top CEOs that year. (Jamie Dimon, of JPMorgan Chase, made $23 million.) They had also received significant returns on their own investments in Carlyle funds: Rubenstein collected $57 million, D’Aniello $78 million. Of that $140 million in pay, $134 million came from the firm’s share of its investors’ profits. 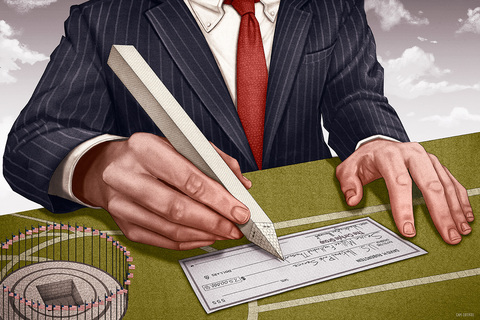 The filings make it difficult to determine the exact distribution, but industry experts say that at a large firm like Carlyle three-quarters of a partner’s pay typically comes out of carried interest. By that calculation, the loophole would have saved the partners about $20 million each, in 2011 alone. Over the next four years, each partner’s savings would have amounted to more than $50 million. Rubenstein prides himself on driving a 15-year-old Mercedes station wagon, but he does not quite follow Carnegie’s call for unostentatious living. In addition to his Nantucket compound, where 30 people can comfortably stay, he has a vacation home in Colorado, and travels in a $65 million Gulfstream. His main residence, which sprawls over 7,000 square feet, sits in suburban Bethesda. Nevertheless, he’s more modest than counterparts such as Schwarzman, who in 2007 threw himself a now infamous $3 million birthday party at the Park Avenue Armory, in New York, and who spends more freely in politics, especially on Republican candidates. One afternoon last October, Rubenstein and his mother gathered with several hundred other guests at the Stephen A. Schwarzman Building, the Beaux-Arts main branch of the New York Public Library, rechristened in 2008 in exchange for a $100 million dollar gift. 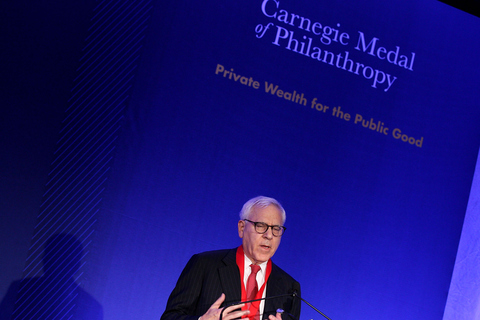 Rubenstein was there to receive the Carnegie Medal of Philanthropy, along with seven others, including Microsoft’s co-founder Paul Allen and the Utah industrialist Jon Huntsman, Sr. Rubenstein roamed around the vast Celeste Bartos Forum, hands in his pockets, with the proprietary air of a man at his daughter’s wedding. Rubenstein, a square-shouldered, dough-faced man with neat white hair and tortoiseshell glasses, speaks in a rapid-fire monotone. In his acceptance speech, he said, “When I was told about this award, I thought there must have been a category for a Jewish boy from Baltimore, and that’s how I got it.” Carnegie, he said, had written him a letter from the beyond. “ ‘Philanthropy is something that anyone can do and everyone should do,’” the “letter” read. “ ‘Good philanthropists invariably live very long lives and when their time is up they are warmly welcomed into a special place in Heaven.’ ” On his way out, Rubenstein picked up a party favor: a sugar cookie decorated with Carnegie’s bearded visage in frosting. For more than a decade, Fleischer has argued that the loophole contributes significantly to income inequality, by inflating what he calls the “alpha income” of financiers in the top one percent of the one percent. In legislative circles, he is among the foremost authorities on the issue. The other side has acknowledged his expertise in its own way: early in his research, he declined a consulting gig for a private-equity lobbyist. Before the 2000s, the taxation of partnership income had never been cause for public debate. It became largely moot in 1986, when a tax-reform deal signed by Ronald Reagan equalized the rates for capital gains and top-bracket ordinary income. But George H.W. Bush and Bill Clinton raised taxes on ordinary income, and Clinton, in 1997, cut the tax on capital gains significantly. Five years later, George W. Bush cut rates on both kinds of compensation, and there was, once again, a big advantage in having one’s pay categorized as capital gains. And a growing industry was poised to profit from that distinction. Members of Congress aren’t known to scrutinize academic articles about tax law. But Fleischer’s report had been picked up by several economics blogs, and in 2007, as Democrats assumed control of both Houses of Congress, it circulated among tax staffers on the Senate Finance Committee. Fleischer was asked to come in and brief committee aides. Soon afterward, the chairman, Max Baucus, of Montana, and the top Republican, Chuck Grassley, of Iowa, produced a bill to close one part of the loophole, which covered the corporate taxes of publicly traded companies. It was nicknamed the “Blackstone bill,” because that firm was then preparing a $4.7 billion public offering. Sen. Barack Obama was one of the bill’s four co-sponsors. 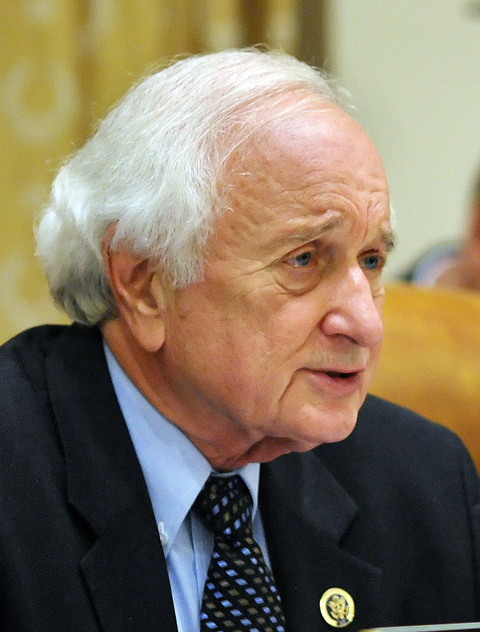 In June of 2007, Levin produced a more sweeping bill, which became the model for future reform attempts. He called for closing the loophole on the profits of all private-equity partnerships. The capital-gains break would still apply for those who put money at risk by contributing to a private-equity fund, including the firm’s partners, when they had invested their own money. But all income from managing the firm’s assets would be taxed at ordinary rates. The congressional Joint Committee on Taxation estimated that closing the loophole would bring the Treasury $25 billion in revenue over ten years. The private-equity industry was ready. The biggest firms — Carlyle, Blackstone, Kohlberg Kravis Roberts, and Texas Pacific Group — coordinated operations through a trade association called the Private Equity Council, founded the year before. Together, the council and the individual companies retained 20 lobbying firms for the task. Blackstone spent $4.9 million on lobbying in 2007, working mainly with a team from Ogilvy Government Relations, led by Wayne Berman, a veteran Republican lobbyist. Carlyle also used Ogilvy, along with McKenna, Long & Aldridge, a smaller firm that generally lobbied Democrats. The private-equity lobby could expect strong Republican opposition to tax increases and, among most members of the Democratic House, reflexive support for the loophole-closure bill. But there was an opening when it came to one sliver of the Democratic caucus: Finance Committee members reluctant to raise taxes on big donors in the financial centers they represented. 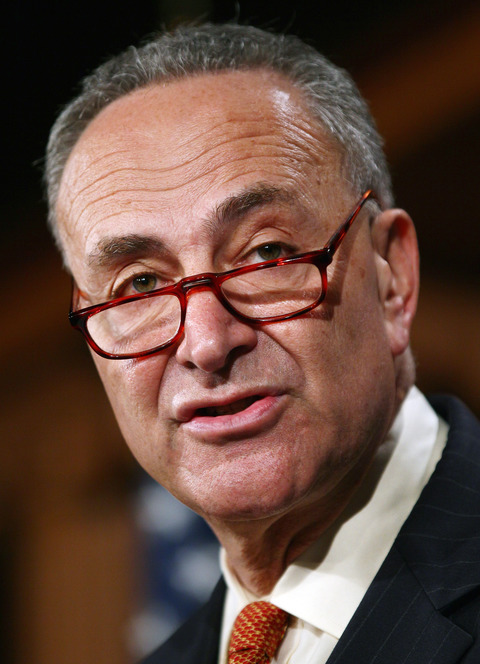 Private-equity lobbyists focused on Chuck Schumer, of New York, and Maria Cantwell, of Washington. Schumer had strong ties to the industry; the private-equity firm Apollo was one of his biggest donors, not far behind Bank of America. Hillary Clinton, the other senator from New York, then early in her first run for President, said that she supported closing the loophole. At a July campaign event in Keene, New Hampshire, she evoked Warren Buffett’s famous complaint that he is taxed at a lower rate than his secretary: “It offends our values as a nation when an investment manager making fifty million dollars can pay a lower tax rate on her earned income than a teacher making $50,000 pays on her income.” Clinton, who had received almost $13 million dollars in donations from Wall Street, her second-largest source after law firms, was not a co-sponsor of the Baucus-Grassley bill. As Barack Obama began campaigning in earnest for President, he seized on Wall Street reform as a way both to appeal to liberal values and to highlight Hillary Clinton’s ties to the financial industry. On Sept. 17, on the floor of the Nasdaq exchange, in New York, he declared that a “mentality has crept into certain corners of Washington and the business world that says, ‘What’s good for me is good enough.’ ” The next day, during a speech at the nonpartisan Tax Policy Center, in Washington, he said that the carried-interest loophole was contributing to economic inequality: “We’ve lost the balance between work and wealth.” In November, the House voted to reform carried interest, but Baucus lacked the support to bring the Senate bill to a full committee vote. After President Obama was sworn in, he was cautioned by Treasury Secretary Tim Geithner not to go after high finance too hard. Geithner worried about imperiling the fragile recovery, and he wanted to coax financiers into accepting other industry reforms. Even so, by 2010, when the recession had officially been over for several months, congressional Democrats were talking about closing the carried-interest loophole with renewed seriousness. Soon Democratic senators with ties to venture capital and real estate were protesting. Mark Warner, of Virginia, who, elected two years earlier, had made a fortune as the founder of the venture firm Columbia Capital, co-authored a May 11 letter to Baucus urging that the Senate retain “a capital gains incentive for those who contribute to the viability of our start-up community — venture capitalists.” The real-estate lobby, meanwhile, relied on senators like Robert Menendez, of New Jersey, for whom real-estate interests were the second-largest source of contributions; ￼and Kay Hagan, of North Carolina, a Schumer protégée who often lined up behind him on financial issues. Lobbyists knew that, with the midterm election season looming, there was little time to get a controversial bill passed, and that 60 votes were required to overcome an inevitable Republican filibuster. “You’d see lobbyists raising technical issues with Democratic staffers,” Lily Batchelder, then the Democratic chief tax counsel for the Senate Finance Committee, told me. “It takes some time to educate staff members and educate their bosses that such issues are mostly smoke and mirrors” — techniques meant to stall the bill. Writing in the Times in June of 2015, Fleischer analyzed the most recently available IRS income data, which are from 2012, and described a technique of approximating the carried interest generated by financial firms. (Investment funds are not required to report that figure outright.) He estimated that, in 2012, one subset of financial firms had generated $40 billion in carried interest, taxable at the capital-gains rate. Had the loophole been closed, the Treasury would have taken in $8 billion additional tax dollars, or $80 billion over ten years, from just this one subset. He also often argues that the government estimates could not be right, given that Schwarzman alone made around $700 million in each of the past two years, resulting in annual tax savings of close to a $100 million for a single person. 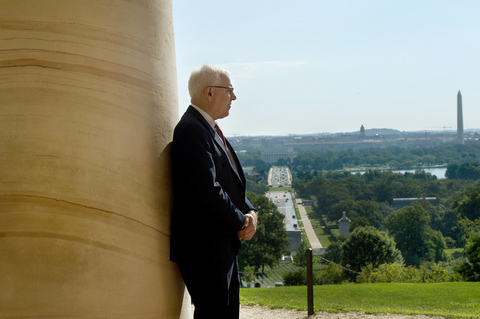 David Rubenstein’s patriotic philanthropy can be seen as a way of establishing the level of control over his wealth that Carnegie enjoyed. In Carnegie’s time, there was no federal income tax; charity was the primary means the rich had of giving back to society, and they could, of course, determine the size of their contributions. The super-wealthy now view taxes more or less the way Carnegie viewed higher wages, or alms spread among the needy: as more likely to be frittered away than if they bestowed the money themselves. The tax code supports this view, making charitable giving tax-deductible. By 2013, the amount written off by all taxpayers was more than $40 billion annually. The wealthy benefit the most, because they are deducting income that would otherwise be taxed at the highest personal rate. 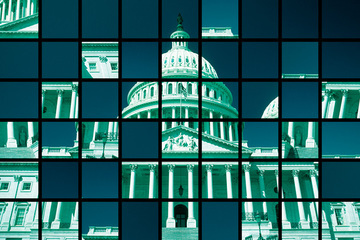 Alec MacGillis covers politics for ProPublica. 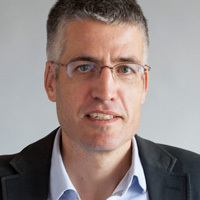 MacGillis previously spent three years covering national politics for The New Republic and five years as a national reporter for The Washington Post. 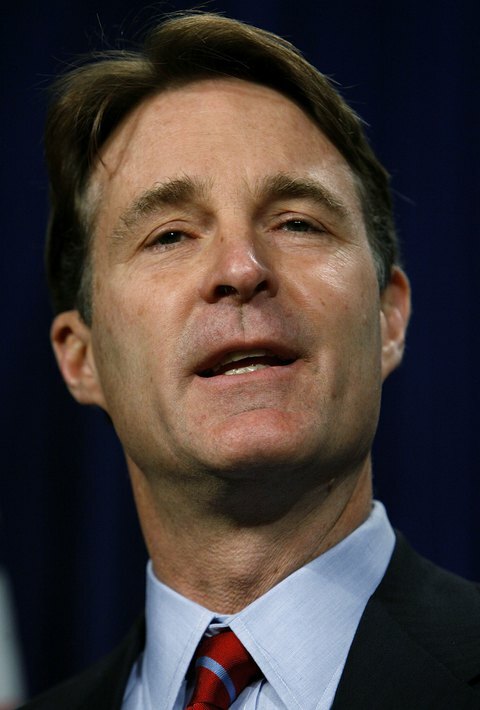 A resident of Baltimore, MacGillis is also the author of “The Cynic”, a 2014 biography of Sen. Mitch McConnell.